KENNEDY SPACE CENTER, FL – A very busy and momentous December is ahead for SpaceX workers on Florida’s Space Coast as the company plans to reactivate the firms heavily damaged pad 40 at Cape Canaveral for a NASA resupply mission liftoff in early December while simultaneously aiming for a Year End maiden launch of the oft delayed Falcon Heavy rocket from NASA’s historic pad 39A. NASA and SpaceX announced that the next SpaceX commercial cargo resupply services mission to the International Space Station (ISS) will launch from Space Launch Complex 40 (SLC-40) at Cape Canaveral Air Force Station (CCAFS) in Florida in December. Pad 40 was severely damaged on Sept. 1, 2016 during a catastrophic launch pad explosion of the Falcon 9 during a fueling test that concurrently completely consumed the Israeli AMOS-6 communications satellite bolted on top of the second stage during the planned static hot fire test. Since Sept. 2016, all SpaceX launches from Florida have taken place from NASA’s Launch Complex 39A (LC-39A) on the Kennedy Space Center. The first Falcon 9 launch from pad 39A took place this year in Feb. 2017. And all hot fire tests have been conducted minus the expensive payload on top to keep them safe in case of a repeat explosion. A successful restoration of pad 40 for launch services is one of the critical prerequisites that must be achieved before paving the path to the inaugural blastoff of SpaceX’s triple barreled Falcon Heavy booster from pad 39A at NASA’s Kennedy Space Center. So if all goes well, SpaceX will have two operational launch pads at Florida’s Spaceport- one at KSC and one at the Cape. They also have a pad in California at Vandenberg AFB. Thus SpaceX could ramp up their already impressive 2017 launch pace of 16 rocket launches so far through the end of October. Indeed SpaceX plans another 4 or 5 launches over the final two months of this year. 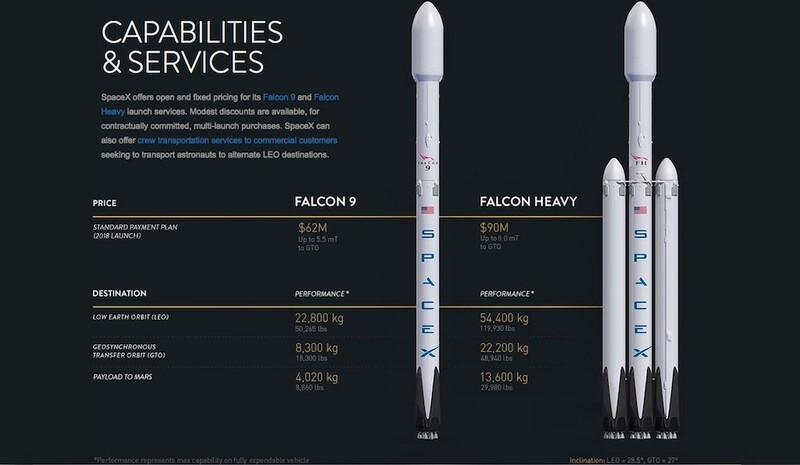 SpaceX is targeting late December for liftoff of the mammoth Falcon Heavy on its debut flight – to achieve CEO Elon Musk’s stated goal of launching Falcon Heavy in 2017. The Falcon Heavy launch could come around Dec. 29, sources say. But the late December Falcon Heavy launch date is dependent on placing pad 40 back in service with a fully successful NASA cargo mission, finishing upgrades to pad 39A for the Heavy as well as completing the rocket integration of three Falcon 9 cores and launch pad preparations. Furthermore, SpaceX engineers must carry out a successful static fire test of the Falcon Heavy sporting a total of 27 Merlin 1 D engines – 9 engines apiece from each of the three Falcon 9 cores. Both of the Falcon 9 side cores will be outfitted with nose cones on top in place of a payload and they have been spotted by myself and others being processed inside the huge processing hanger just outside the pad 39A perimeter fence at the bottom of the ramp. Both of the side cores are also recycled boosters that will be launched for the second time each. SpaceX originally hoped to launch Falcon Heavy in 2013, said Musk. But he also said the task was way more challenging then originally believed during a KSC post launch press conference in March 2017 following the first reuse of a liquid fueled booster during the SES-10 mission for SES that launch from pad 39A. Former Space Shuttle and Apollo Saturn Launch Pad 39A was only reactivated this year by SpaceX for Falcon 9 launches. SpaceX most recently launched the KoreaSat-5A telecomsat on Oct. 30 from pad 39A. Plus the first stage booster was successfully recovered after a soft landing on a platform at sea and the booster floated ‘back in town’ last Thursday – as I witnessed and reported here. The uncrewed Dragon cargo spacecraft launch on the CRS-13 mission is also a recycled Dragon. It previously was flown on SpaceX’s sixth commercial resupply mission to station for NASA. Rocket recycling is a feat straight out of science fiction. It’s the key part of SpaceX CEO Elon Musk oft stated goal of drastically slashing the high cost of access to space. The next SpaceX launch is set for Nov. 15 with the mysterious Zuma payload for a US government customer. It will be the last from pad 39A before the Falcon Heavy. An Orbital ATK Cygnus cargo ship is slated to launch on November 11 from NASA Wallops Flight Facility on Virginia’s eastern shore.